Join us for a ride aboard the Chaparral 297 SSX with BoatTest.Com Captain Steve Larivee. 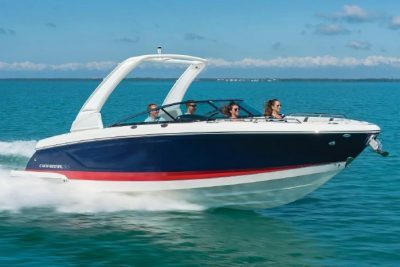 Learn more about the Chaparral 297 SSX: Click Here. “The Chaparral 297 SSX is a premium sportboat and is very much in the top tier of boats in her class. With a 22-degree deadrise and her 9’ (2.74 m) beam, she will be about as comfortable in a chop as any boat in class. Her fit-and-finish is superb and we were hard-pressed to find anything aboard that we would change.